A man died Tuesday morning on North Neville Street in North Oakland when he accidentally came into contact with a utility wire. Matthew Blackburn, 46, of Jefferson Hills, was working in a cherry picker vehicle washing the windows of an apartment building on the 500 block of North Neville. The platform he was working on came into contact with the top of an electric line around 10 a.m. 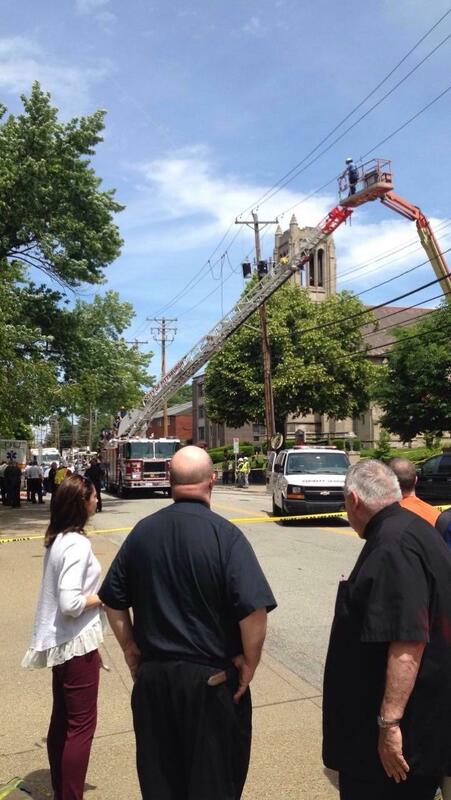 The line carried about 23,000 volts, according to Pittsburgh Police Commander Dan Herrmann. Blackburn was instantly electrocuted, and was confirmed dead by medical responders on the scene a little more than an hour and a half later. Emergency personnel called Duquesne Light to the scene to turn off power temporarily in the area of the accident to allow firefighters to retrieve Blackburn from the crane.